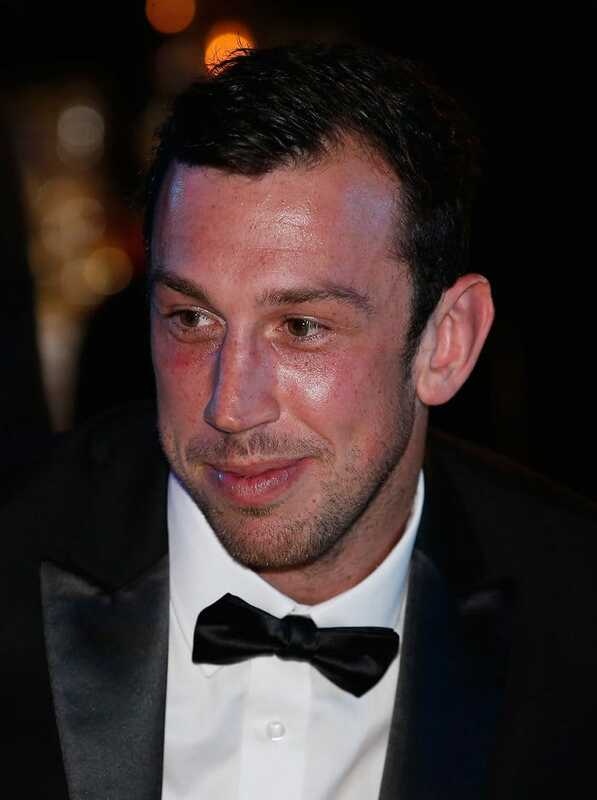 TODD Goldstein has capped a career-best 2015 season by winning his first North Melbourne best and fairest award on Friday night, winning the Syd Barker Medal comfortably from last year's winner Ben Cunnington with former Bulldog Shaun Higgins in third. In the count at Central Pier's Peninsula room, Goldstein led from start to finish, polling 283 votes to win by 38 from Cunnington, with Higgins just three votes further back. The 27-year-old ruckman's breakthrough triumph comes after nail-biting near-misses in the previous two counts. In both 2013 and 2014, Goldstein finished just one vote out of first place: third behind joint winners Scott Thompson and Daniel Wells in 2013, and second behind Cunnington last year. Five-time Syd Barker medallist Brent Harvey remarkably finished Friday night's count fourth on 227 votes in his 20th season at Arden Street, with vice-captain Jack Ziebell edging captain Andrew Swallow for fifth on countback after they tied on 224 votes. Harvey this year became the fourth player in the VFL/AFL's 118-year history to play 400 games, a feat that was recognised earlier on Friday night with a special presentation before 900 guests. Harvey finished 2015 on 409 games to climb to second on the League's all-time list, and needs to play 18 matches in 2016 to surpass Michael Tuck's 24-year-old record of 426 games. Goldstein took his game to a new level in 2015. His tap work has long been outstanding and, in 2015, he broke Gary Dempsey's 1982 record for the most hit-outs in a season (952) with 1058 at an average of 44.1 a game. But this season Goldstein also consistently influenced games around the ground, averaging a career-high 14.7 possessions and 1.3 contested marks a game. His outstanding year was recognised by his peers when he finished second to Nat Fyfe in the AFL Players' Association MVP award. Under North’s new best and fairest voting system, players could earn up to 20 votes a match, with votes from their best 20 matches and finals counting towards their total.